Crystaltimes™ News: Welcome To Crystaltimes USA! Our dedicated website to serve USA based Customers. New 3-5 day shipping times! Check out the very latest news on our new Wrist-Talk blog. Stay tuned to this area for more exciting announcements! Subscribe to our push notifications to stay up-to-date on all things Crystaltimes (Orange bell in bottom left of website). FREE Shipping On Orders Exceeding $90 - $10 Off Orders Exceeding $150. #1 choice for sapphire crystals and watch mod parts! BROWSE USA STOCKsapphire crystals & more! Tip: Use the CRYSTAL SEARCH function for speedy navigation. IMPORTANT MESSAGE: If you don't see your items in stock, please visit our global headquarters website to order! >> Crystaltimes.net - We are working day and night to be fully stocked on all variable items here in the United States! high quality sapphire crystals, cases, bezels, bezel inserts, chapter rings, crowns, case backs, and more! Crystaltimes USA specializes in Seiko mods and high quality modification parts. We also carry watch mod parts for Citizen, Orient, Casio, Hamilton, Rolex, and other watches. 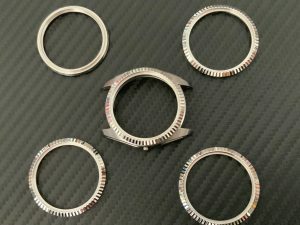 Our primary watch mod part is Sapphire Crystals, but cover many miscellaneous watch mod parts including replacement cases, bezels, bezel inserts, bezel click springs, chapter rings, crowns, case backs, case back gaskets, crystal gaskets, springbars, and adhesive 3M stickers. Shop our wide range of products today! 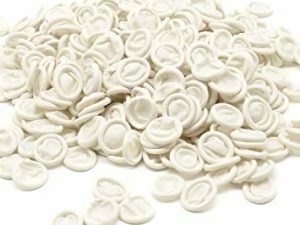 Stock in USA! BROWSE CUSTOMER GALLERYView & Submit! 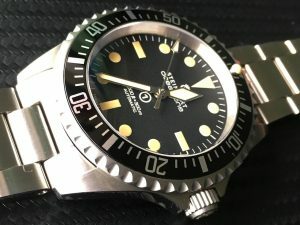 new to the watch modding community? we have a dedicated page with information and video tutorials! BROWSE OUR NOOB CENTERInfo, Tutorials, and More! check out the latest products from Crystaltimes! Material – Sapphire crystal and Ceramic Insert Combo. Type/Design – Custom Double Dome Custom Sapphire and Ceramic YM insert combo buy. A perfectly custom-made match of crystal and YM Ceramic Insert – Perfection – 2 X 3M insert stickers included. Additional Information in product description below. Save money by adding Crystal Gasket below! Material – Stainless Steel 316L surgical grade DJ look bezel. Type/Design – Press on direct replacement for existing bezel. Fitting/Removal – Direct replacement for OEM bezel no mods required. What you get – DJ look HDV Bezel + Crystal gasket + special custom gasket for fitting bezel to the case. 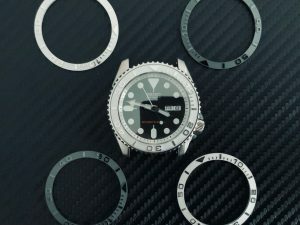 IMPORTANT – Please note the custom gasket supplied that is used for fitting the bezel to the case is specifically designed to work 1 way only – the underside being identified clearly with a black spot. Description: Avoid leaving finger prints while handling your sapphire crystal by getting extra finger cots. Highly advised to not use your bare finger when handling your sapphire. Finger prints and smudges are hard to remove especially if it’s on the underside of the crystal. 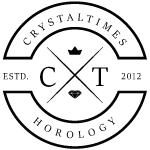 Crystaltimes, Inc. is a corporation in the United States, California (C4230586). ©Crystaltimes™ All Rights Reserved, 2019. 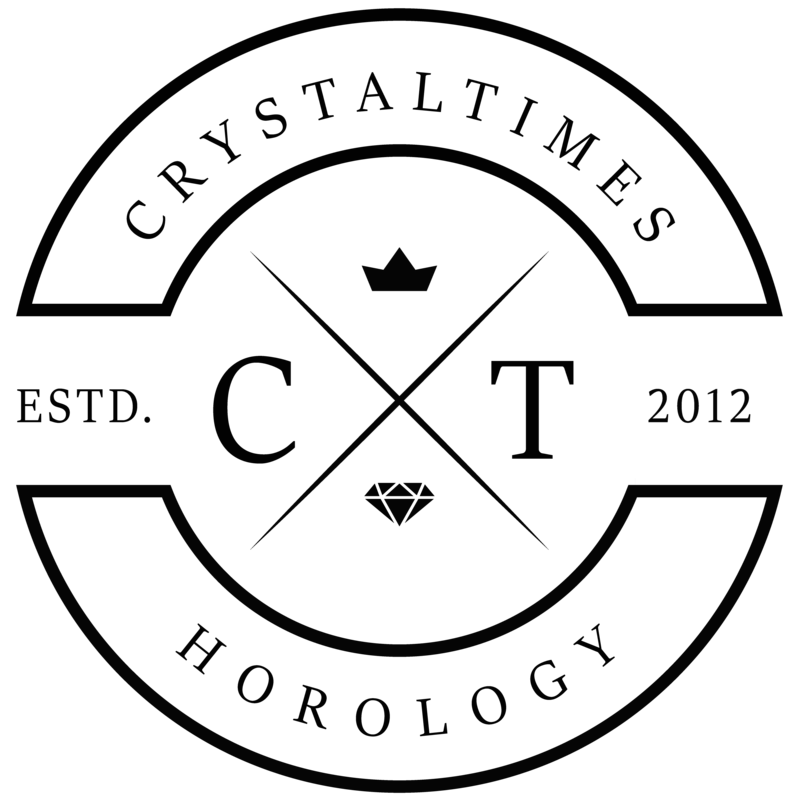 Crystaltimes™ is not affiliated with Seiko Holdings Corporation, Seiko USA, or any other watch brand company. All watches, likeness, and logos are trademarks, registered trademarks, or property of the respective owner.